Let me tell you a little more about iWahine NZ. iWahine NZ is about leading with authenticity. 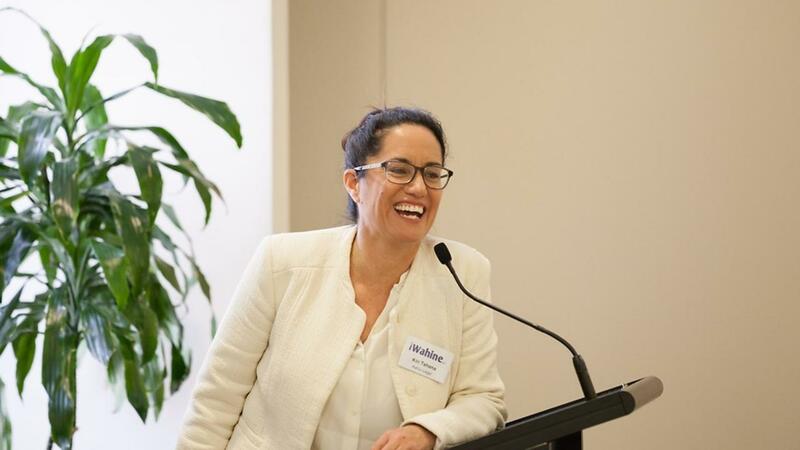 We promote wāhine Māori who are role-models of authentic leadership to share their personal stories and leadership journey so we can learn from both what they know and who they are. The iWahine Leadership Hui in October 2017 show-cased a number of wāhine toa. Values act as your inner compass, pointing you in the direction of what it means to be true to you. Staying true to your values is not always the smoothest path to take. Authentic Leaders do not change their stripes to make others feel comfortable around them. They honour their unique set of guiding principles that define who they are and how they operate. Authentic leaders know what activities strengthen them and which activities weaken them. They lead with their strengths and are not ashamed to admit their weaknesses. Because they are willing to be vulnerable and express a weakness, they easily establish trust with others. Do you see the world strictly through your own lens or do you always take an objective view and explore the world through the eyes of others? Authentic Leaders do not have a myopic view of the world and are good at seeing both the forest and the trees. People who lead a purpose-driven life are clear that their role is to serve others and they attach meaning to what they do. You don’t have to be leading a team or managing a cause or company to be an authentic leader. Deciding to live a life by design, going after what you want and role-modeling the above attributes, are what make you an authentic leader. We hope you join us at iWahine to be empowered to reach your full professional and personal potential while supporting others along the way.